As a student you should be training both gi and no-gi, as a gym owner you should be encouraging students to train both. We can forget about the technical reason to train both. Although I do believe the technical arguments for training both gi and no-gi are strong. 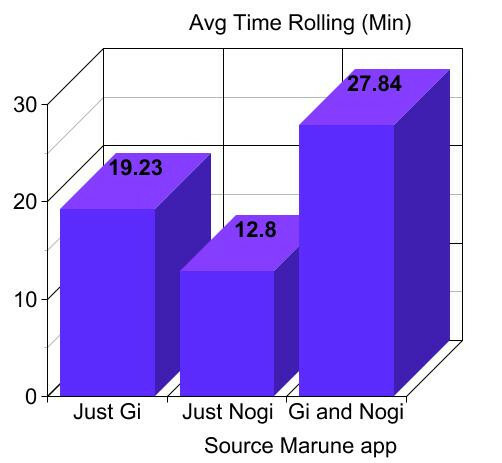 I have data from the BJJ training app Marune, and this data reveals some amazing information about students that train both gi and no-gi. Students that train both gi and no-gi train longer per average session and roll longer per average session. The comparisons draw a stark difference in training time. 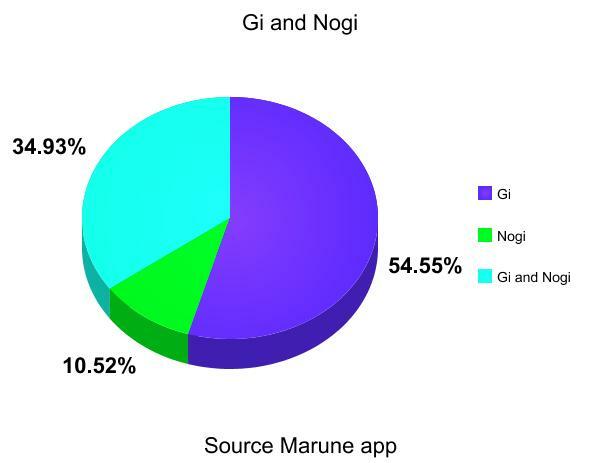 This pie graph above shows a break down of the people that are using the Marune app. 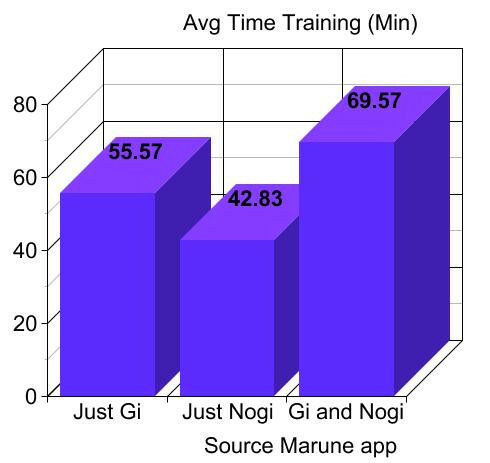 Most people (using the app) train just with the gi 54.55%. Only 10.52% are exclusively training no-gi. 34.93% of people train both gi and no-gi. These are not people that claim to train one or the other they are actually logging their mat time and choosing gi or no-gi. Someone that has never logged a no-gi session simply gets put in the gi category. If someone has done both they are categorized as gi and no-gi. Statistically people who only train “no-gi only” spend less time on the mat per training session. 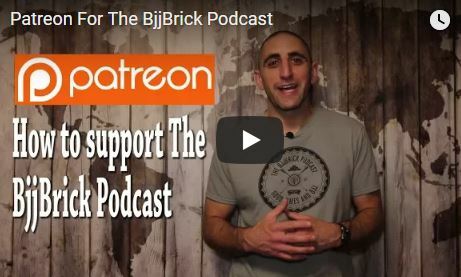 People who train both are training about 14 minutes longer than the people training only gi, and almost 27 minutes longer than the strictly no-gi crowd. Training time discrepancies are shocking, but BIG difference is time rolling. 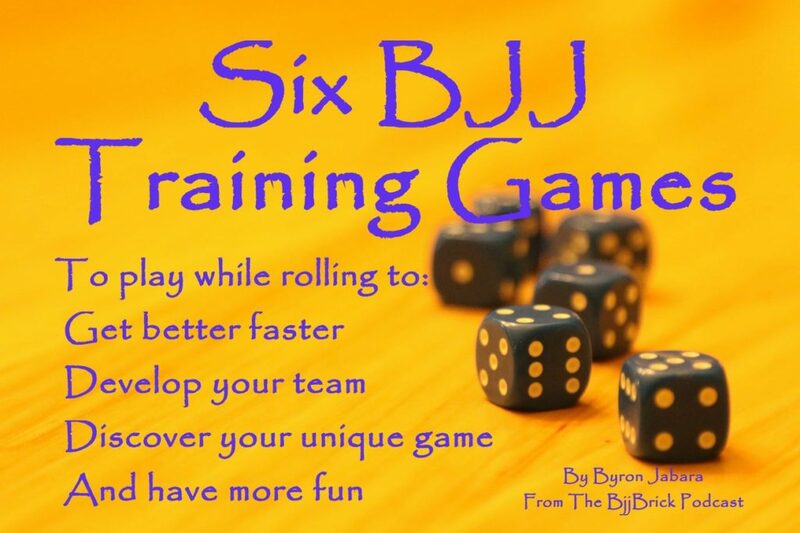 People that train gi and no-gi roll much more time than the people that only train one sport. People training both roll almost 9 minutes more that people training only gi, and 15 minutes more than people training only no-gi. I don’t know but here are some ideas. It could be that people training both have found a greater passion for training and rolling and get more mat time every time they walk in the door of the gym. Perhaps the data is affected by shorter classes and gyms that only teach one type of training. It could be that on average a gym that has both gi and no-gi has longer classes. The times could be effected by the students ability to train and push themselves. If your gym has 2 gi classes a week and 2 no-gi classes a week and you only train on the no-gi days you are probably not in as good as shape as someone training all the classes. This would result in you rolling less at the end of class. Open mat sessions could be attended predominantly by people that roll both, and this would push the data in their favor. What to do about this data? If you are a student that only trains one, try training both. You may find yourself training more per training session. 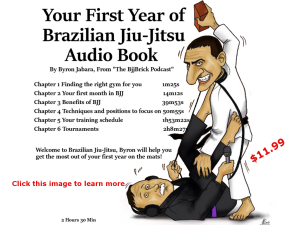 You are likely trying to balance a busy schedule with jiu-jitsu. Train when you can regardless of the grappling clothing materials (try not to skip training because it is no-gi night and you like gi). If you are an instructor you should encourage students to train both. It is no secret that students that train more have an accelerated learning rate. Talk about the benefits of training in the other classes and continue to invite them to try the other side of grappling. Here is a video talk about this data. 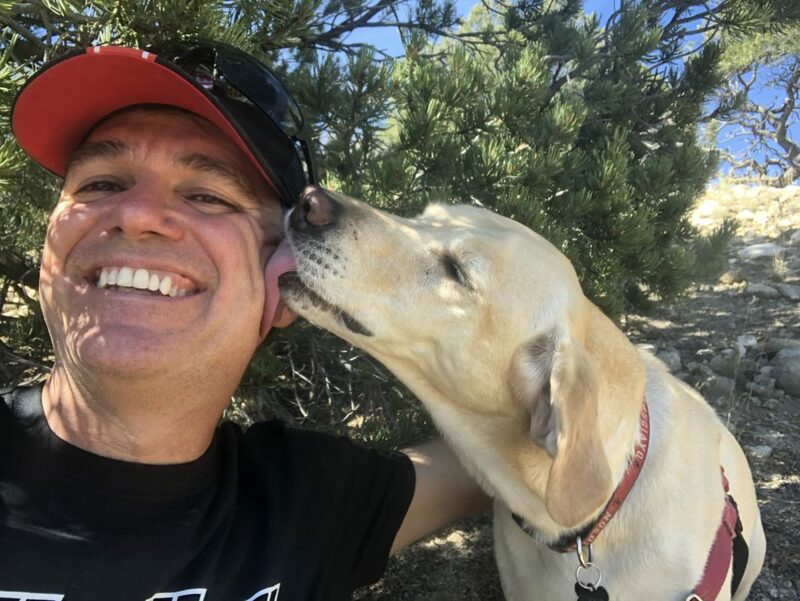 This week we have an interview with Jason Elliott from the Marune app. Marune is a great way to track your training in BJJ. We cover many training topics including improving your top game and measuring your training. This week we have Katie Elliott. Katie is a registered dietitian with a specialty in sports nutrition. We cover a wide range of topics designed to help you perform better on the mat.